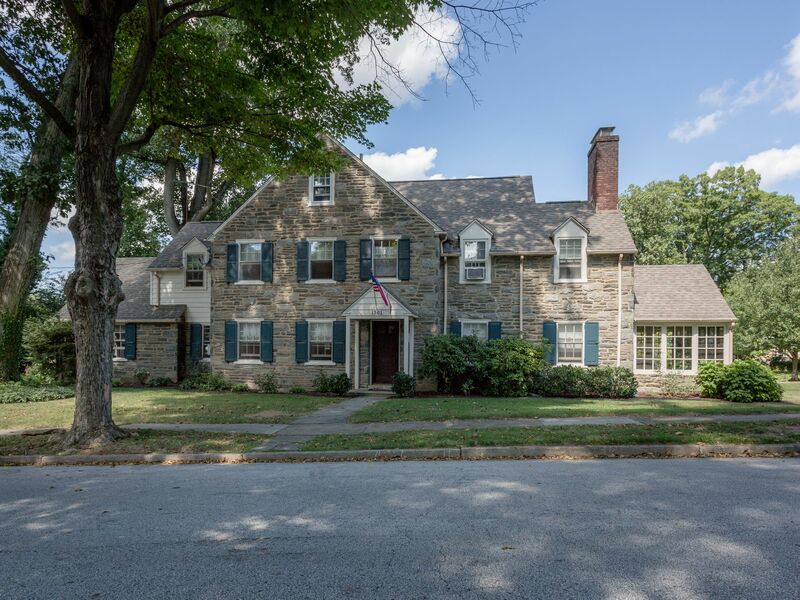 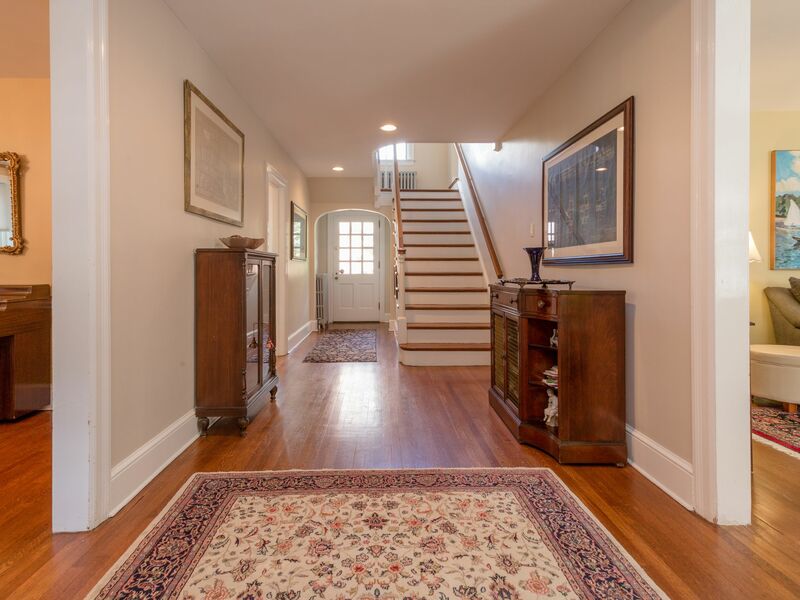 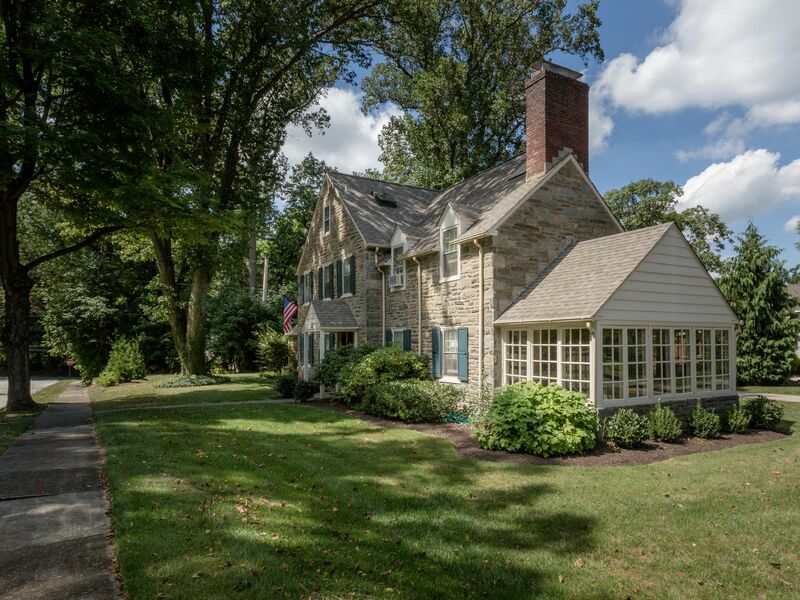 1701 Harris Road is a prime example of the gracious stone construction commonly found in and around the communities of Northwest Philadelphia in the 1920’s and 1930’s. 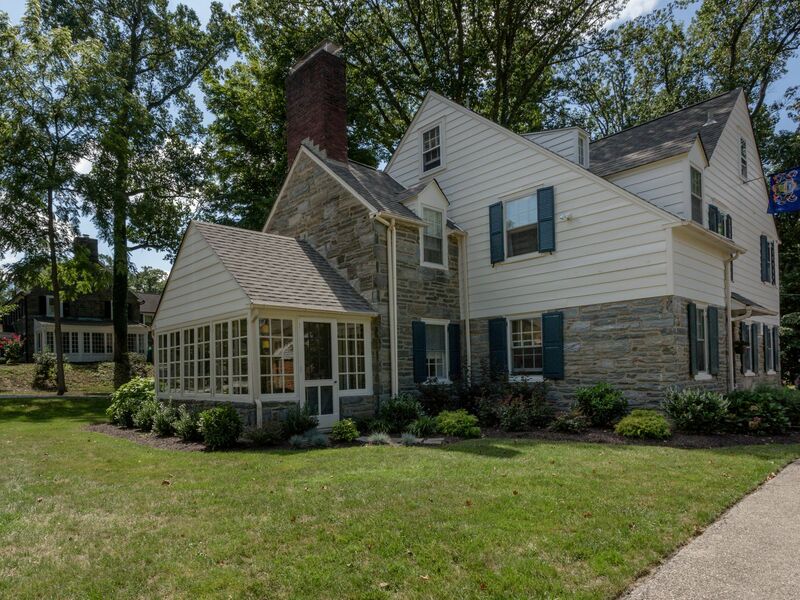 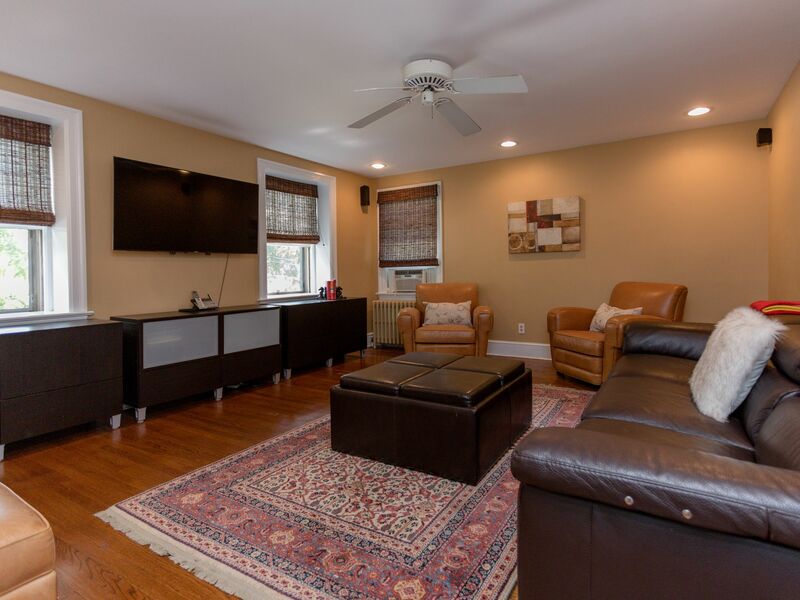 This stunning home, constructed of beautiful Wissahickon Schist with elements of wood clapboard, sits on a quarter acre corner in Laverock, complete with professionally designed and maintained gardens. 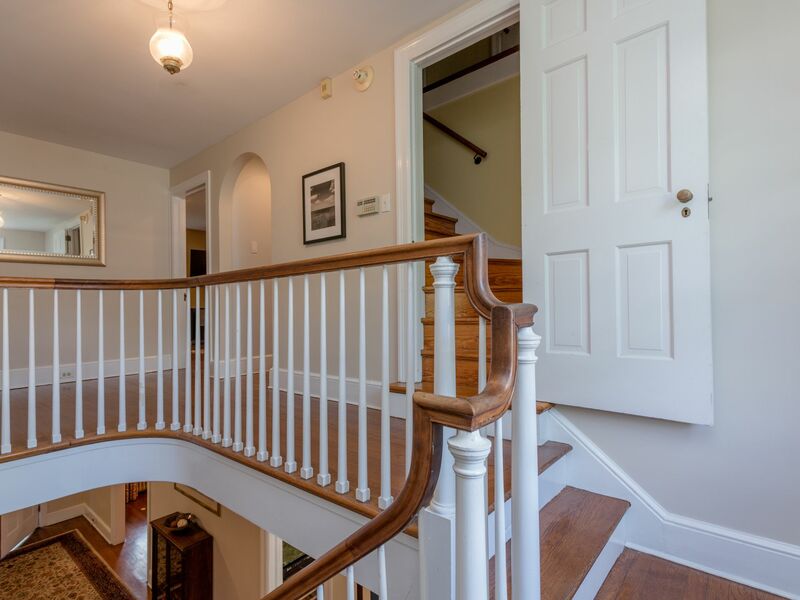 This is the home you have been looking for - Space, Elegance, Flow, Location. 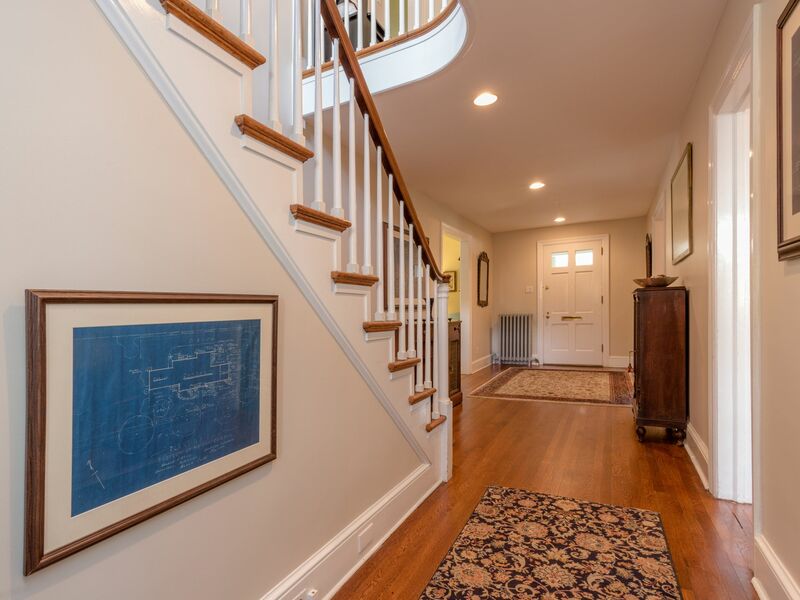 Enter through the center hall, providing access from both the formal south entry as well as from the convenient driveway located at the north entry. 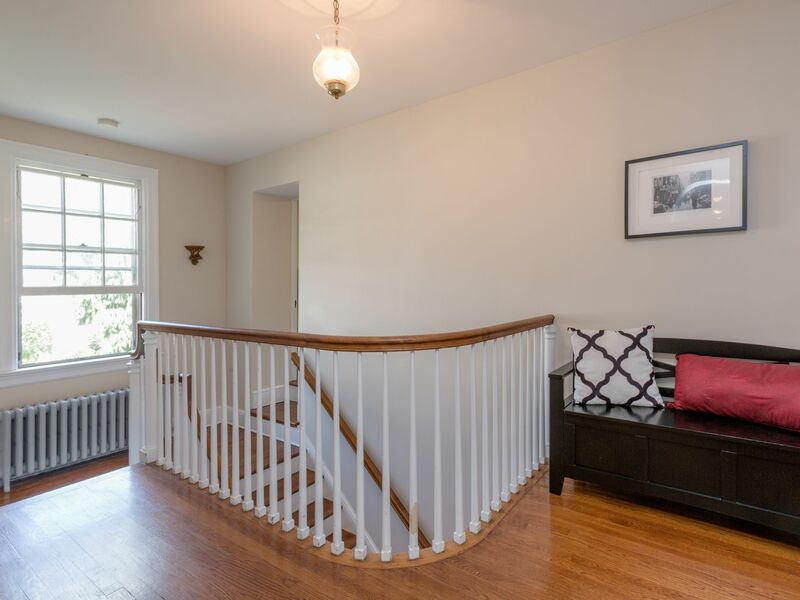 The living room is situated to the right of the front entrance and features deep sills, beautiful oak floors and a lovely marble fireplace. 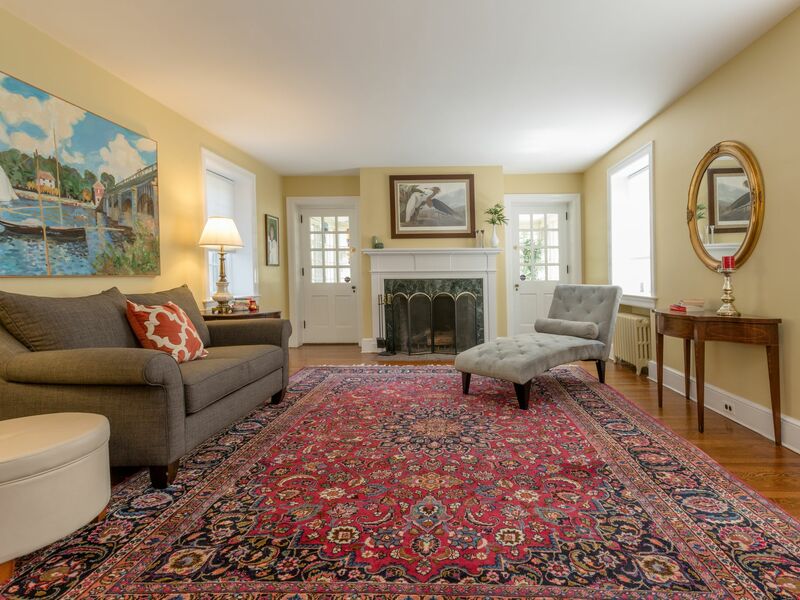 Enjoy the beautiful morning sun thanks to the living room’s southern exposure. 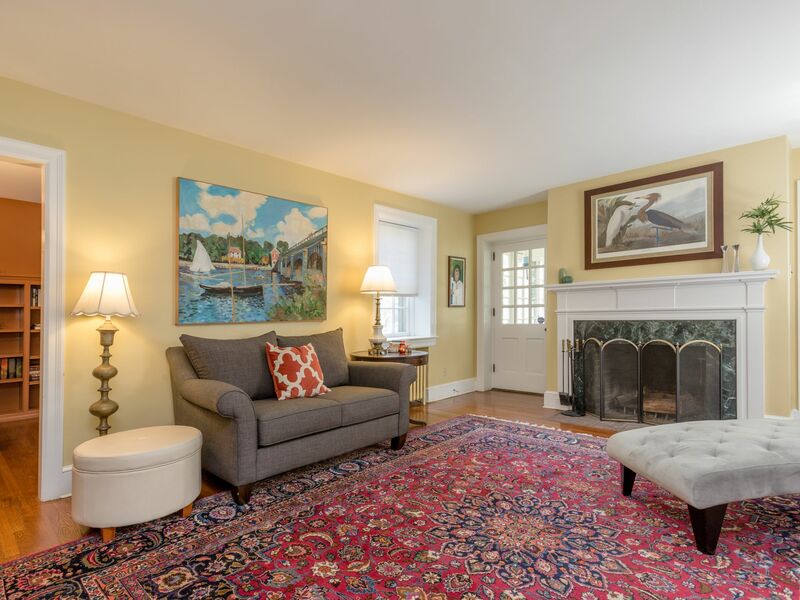 Twin, twelve-light doors at either side of the fireplace open to a bright enclosed porch at the east side of the home. 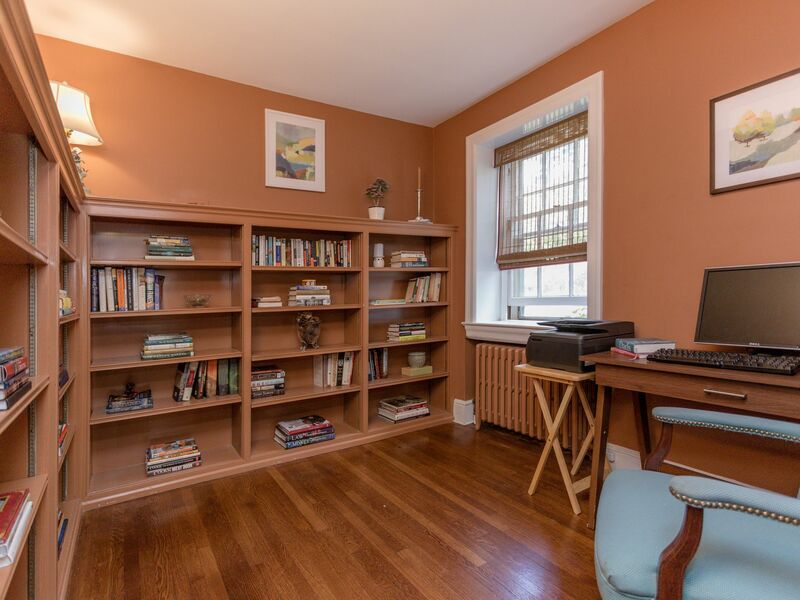 Immediately adjacent to the living room is a cozy den with built-in book shelves for a library or in-home office. 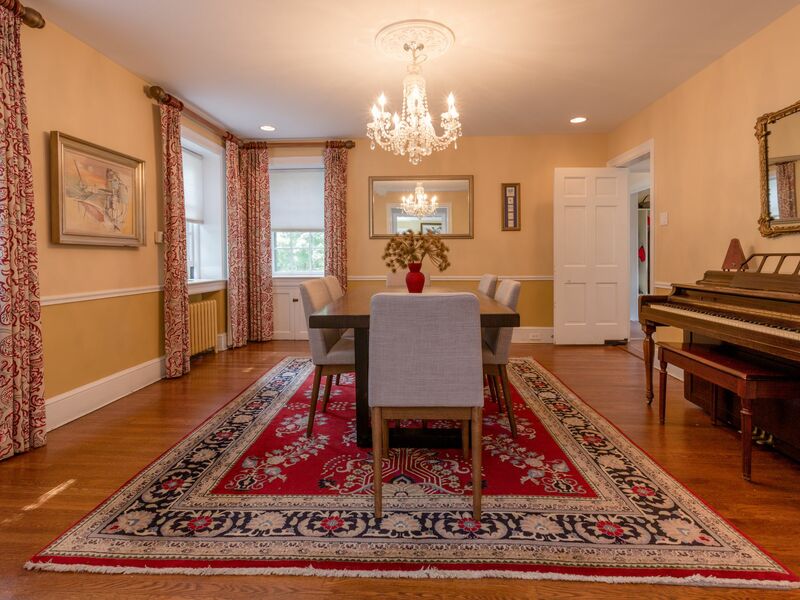 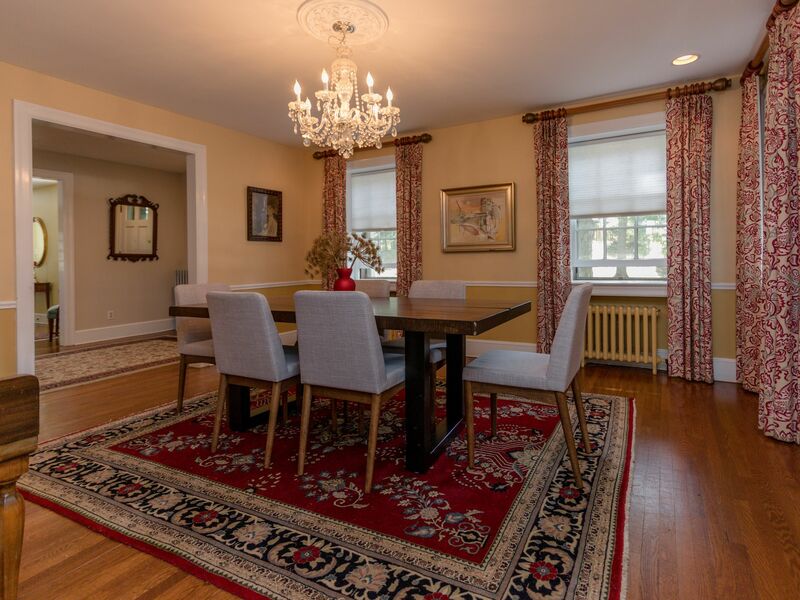 A spacious formal dining room sits opposite the living room and provides an ideal setting for entertaining. 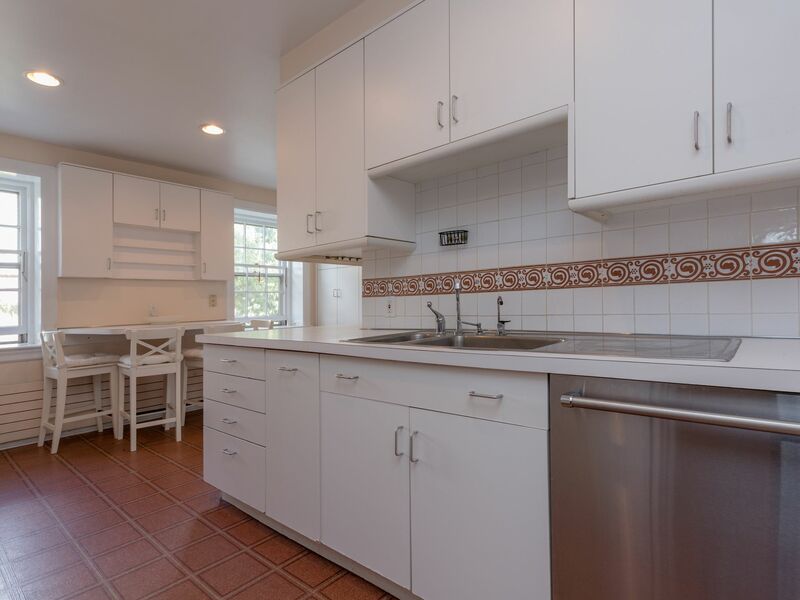 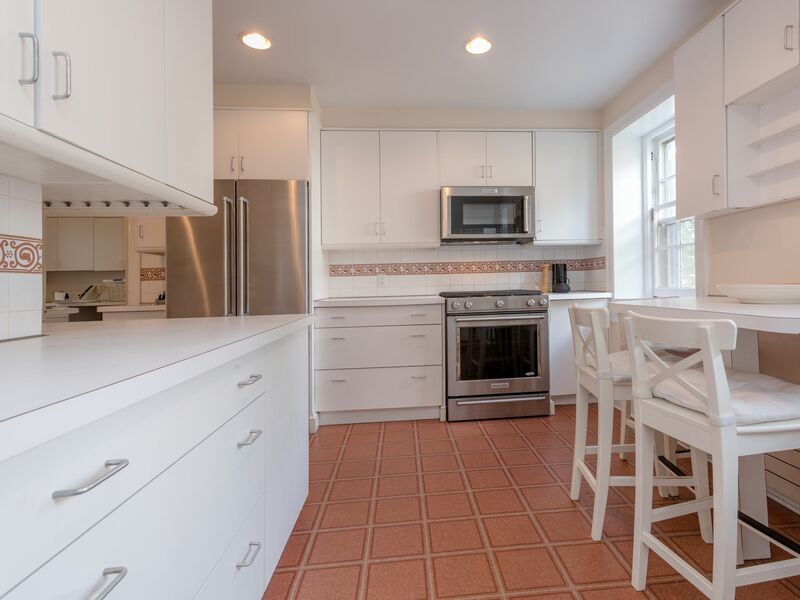 Access the kitchen through the dining room as well as the center hall where you will find ample counter and cabinet space and newer stainless-steel appliances. 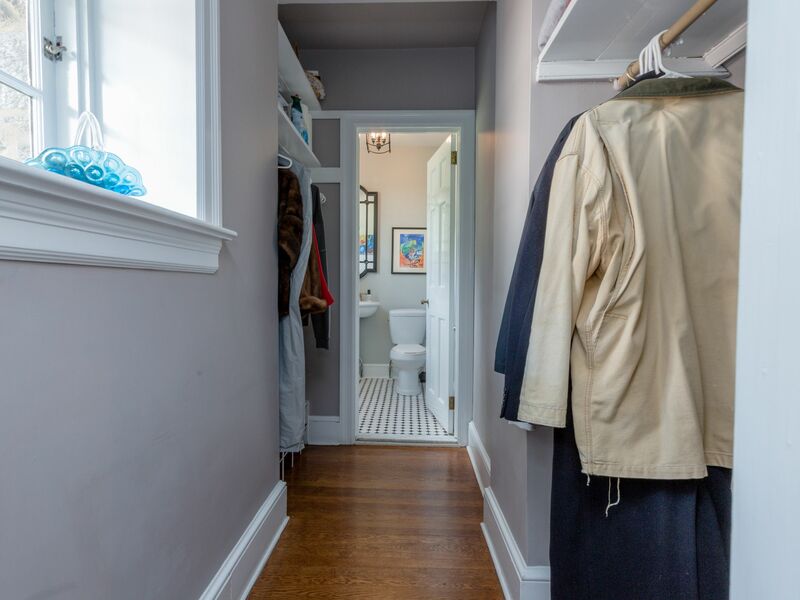 A large laundry room sits off the side of the kitchen with access to a truly functional mudroom, complete with built-in lockers and cubbies. 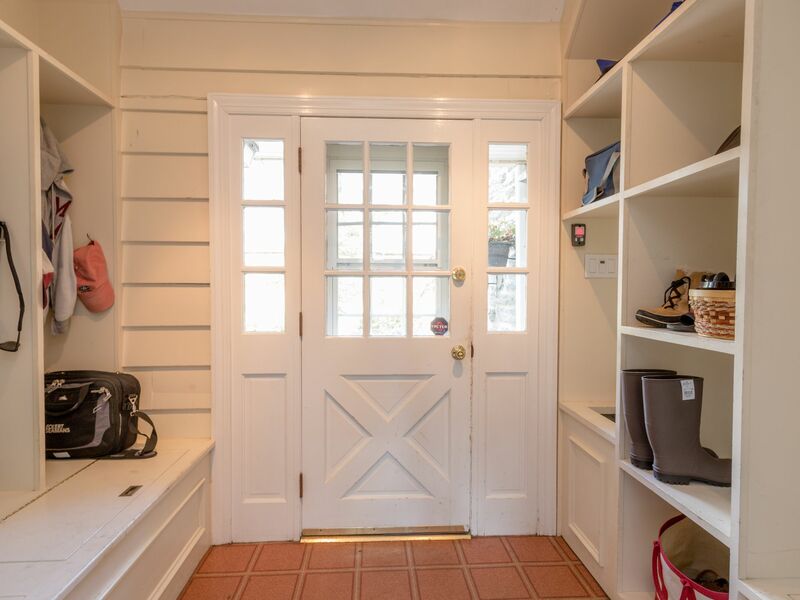 The mudroom provides additional access to the driveway by the garage. 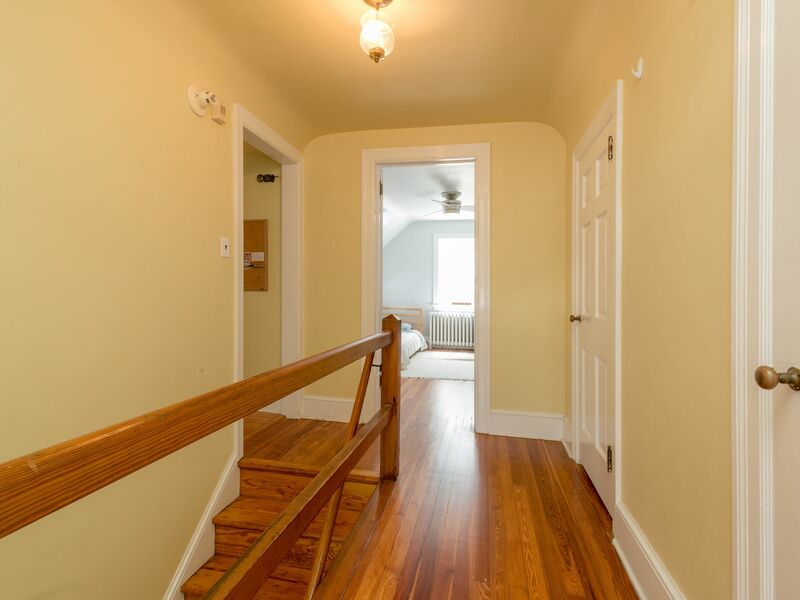 A first-floor powder room is located through a hallway just under the stairs in the center hall. 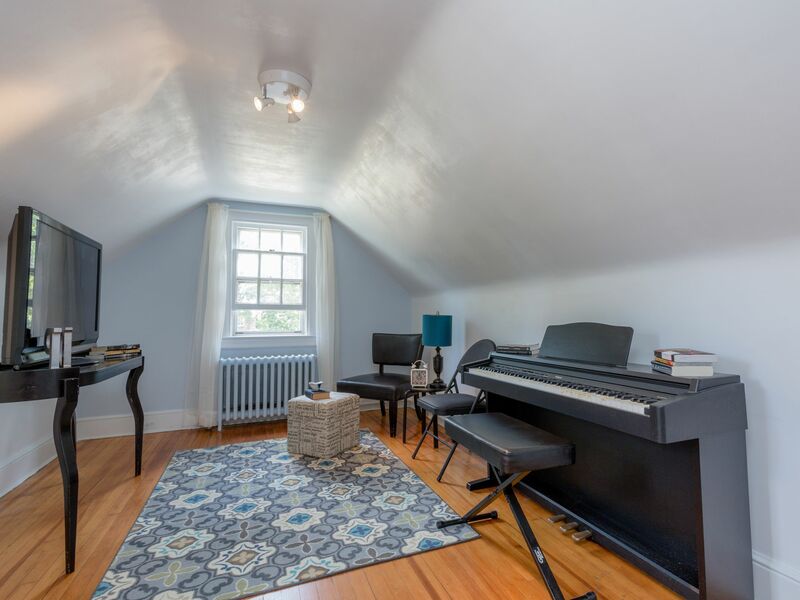 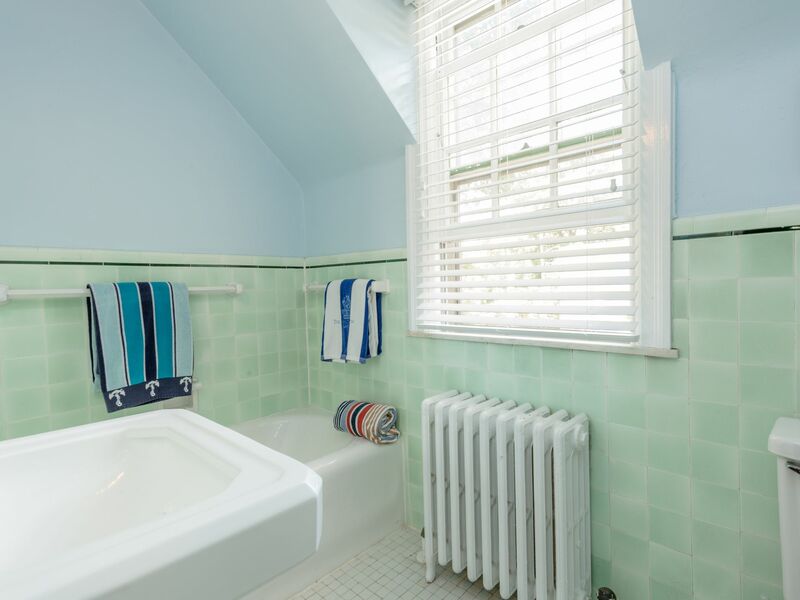 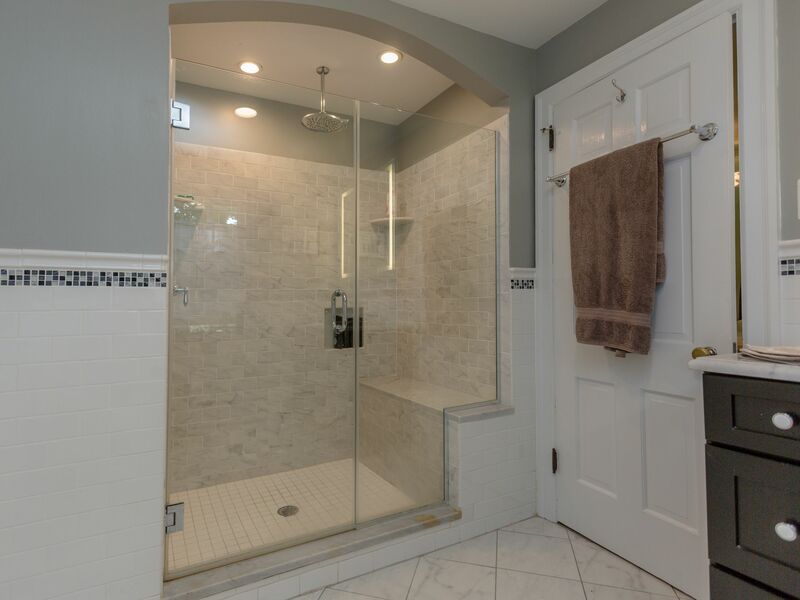 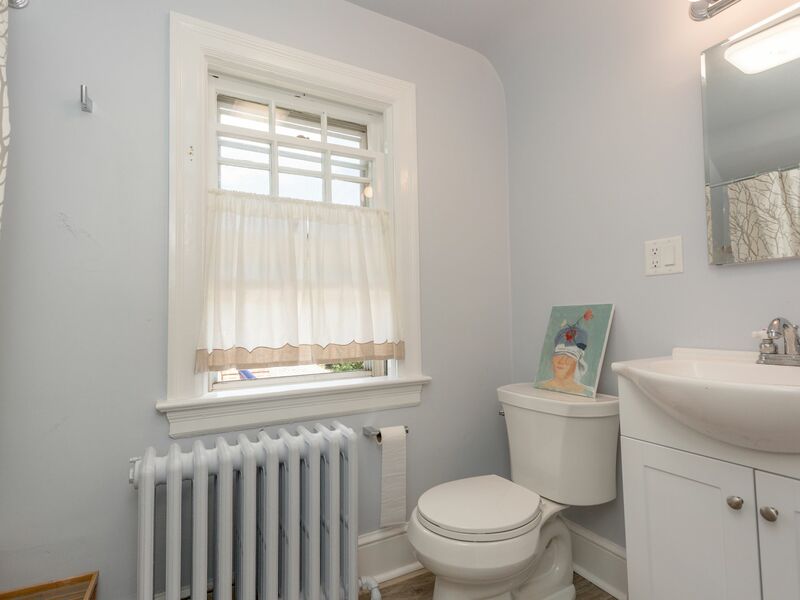 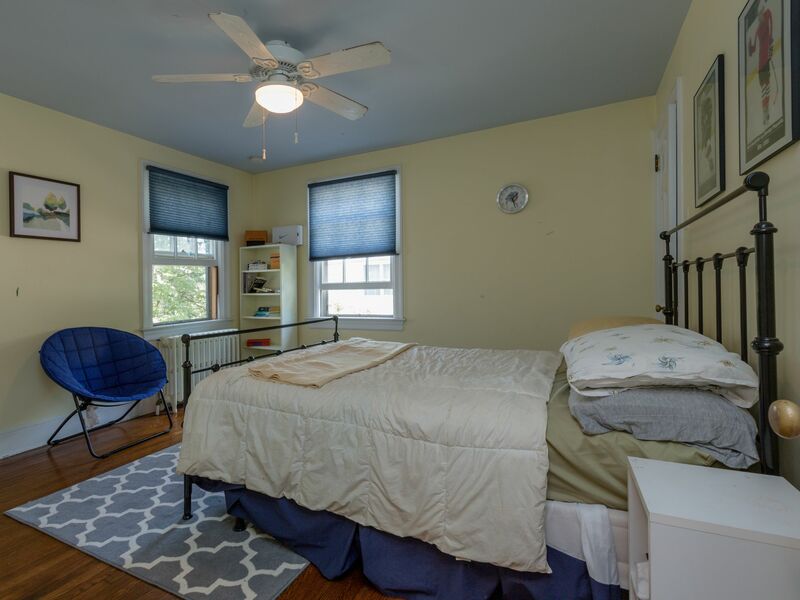 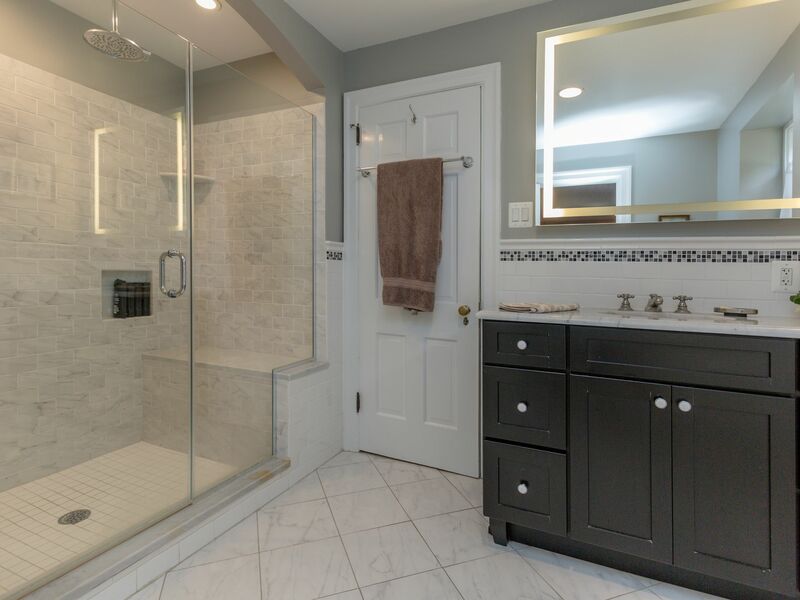 Upstairs is a master bedroom suite with a sitting/dressing room (or nursery) and a gorgeous updated bathroom with subway tiled walls, heated floor, and a stall shower with overhead rain showerhead. 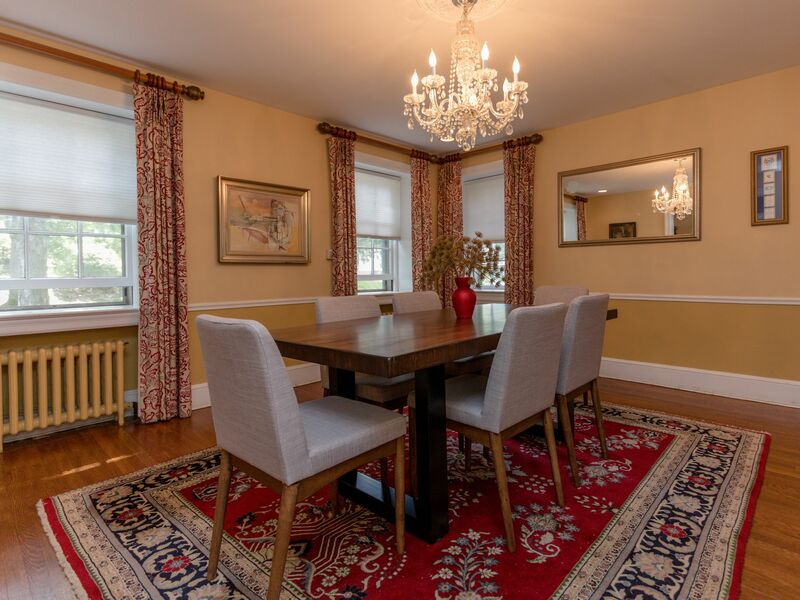 A large family room sits opposite the master and could easily be used as a sixth bedroom. 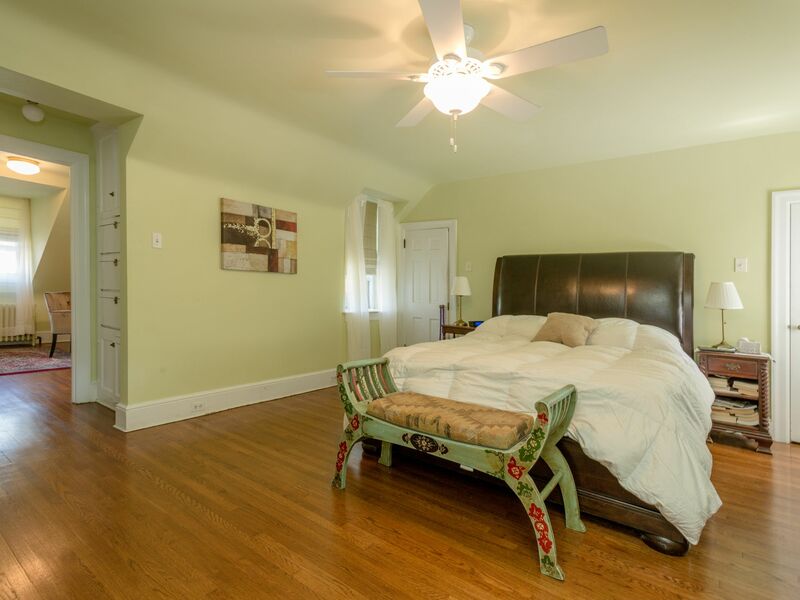 Two additional bedrooms are located down a side hallway with access to a Jack and Jill bathroom. 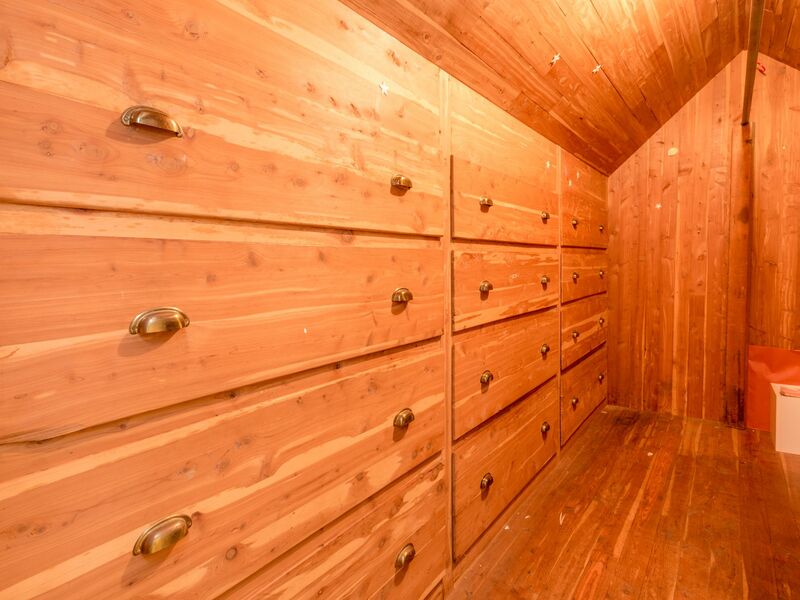 Don’t miss the walk-in cedar closet adjacent to the bedroom. 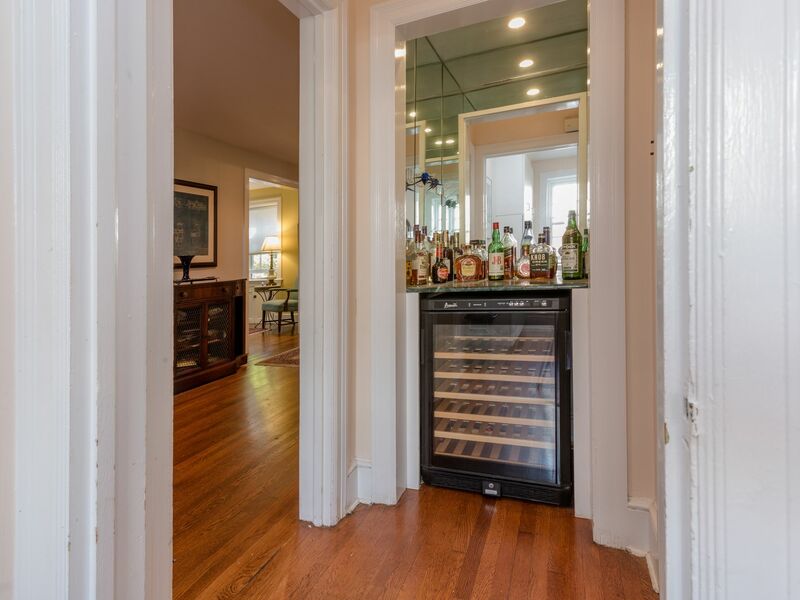 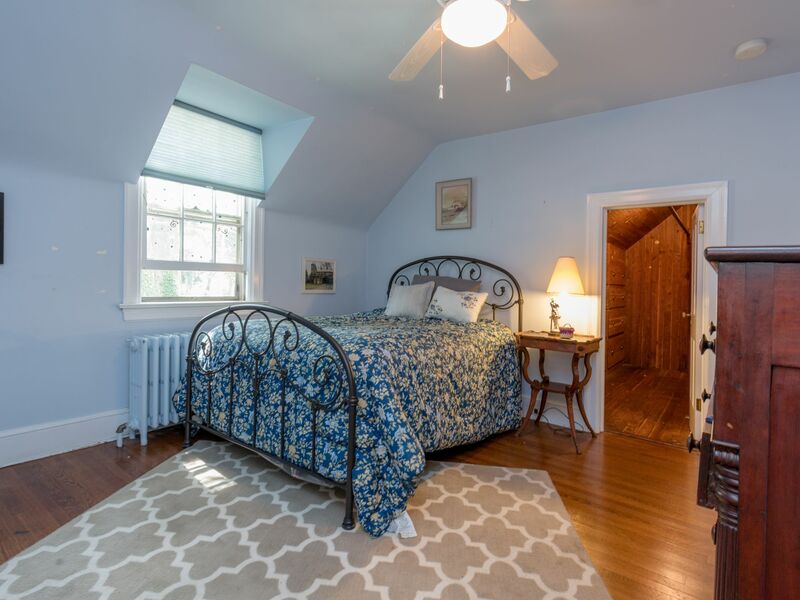 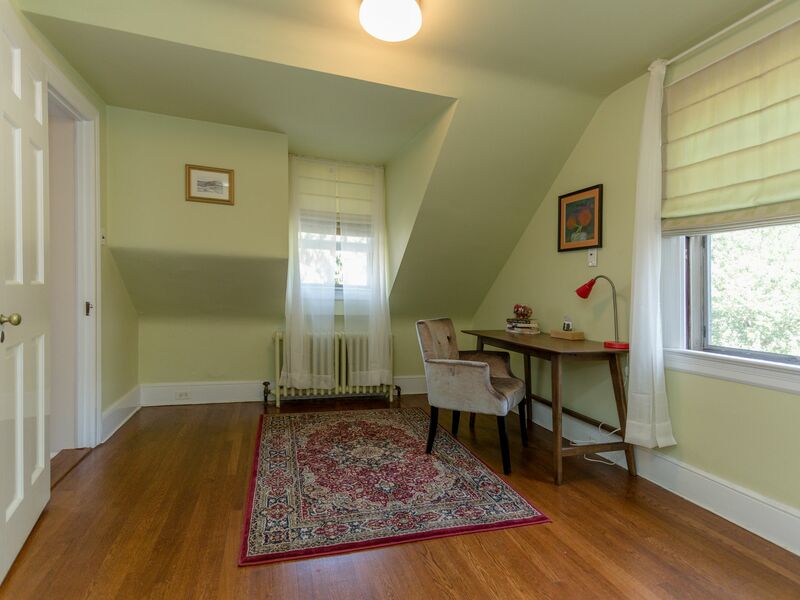 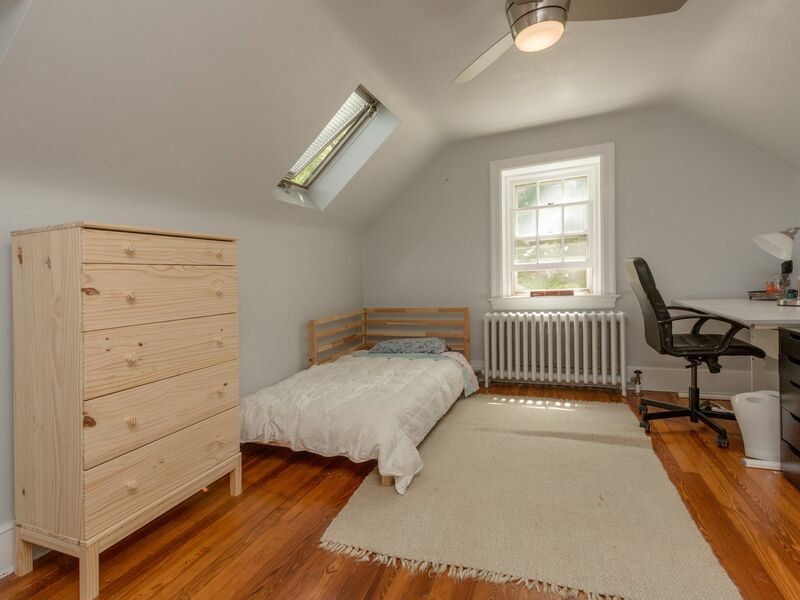 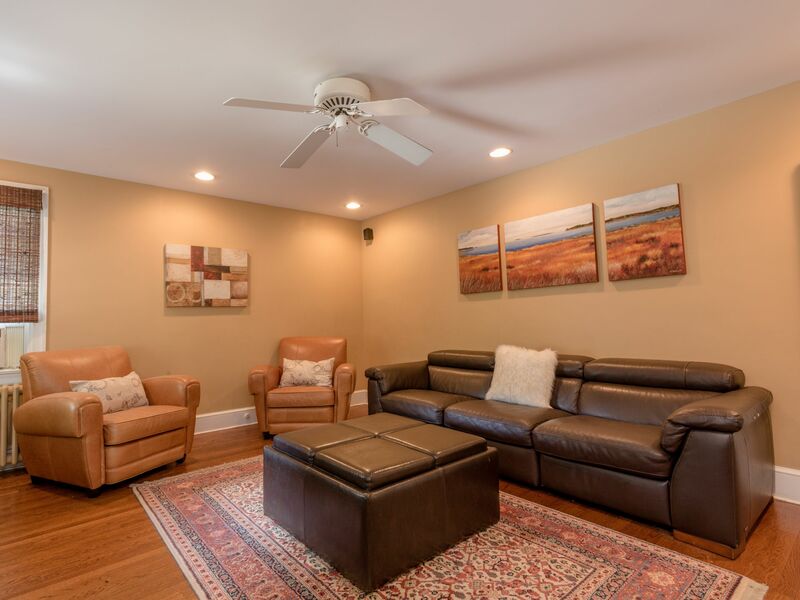 A private third-floor au pair/in-law/teenager suite is accessed from the main second floor hallway and provides two additional rooms, plenty of additional closet space and a third full bathroom. 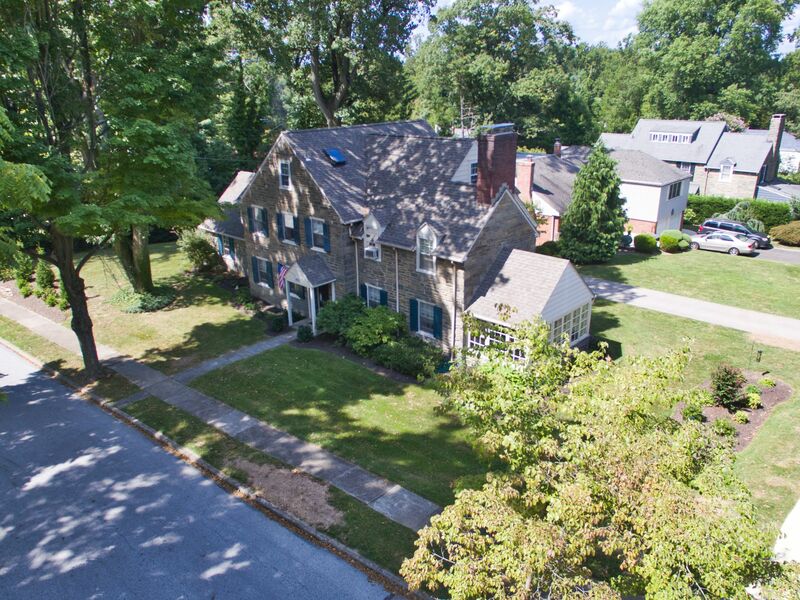 1701 Harris was designed by architect John W. Keyes in 1930. 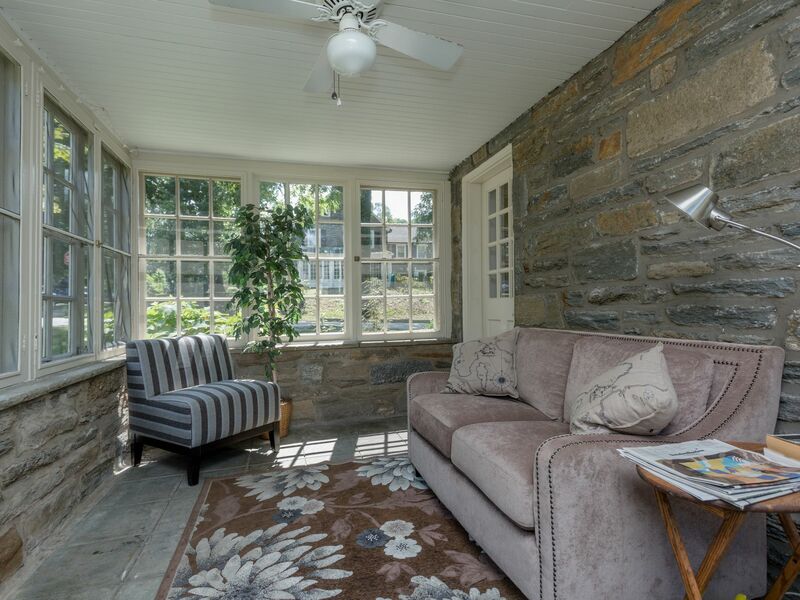 A stone’s throw from Chestnut Hill with easy access to Center City, 309 and the turnpike. 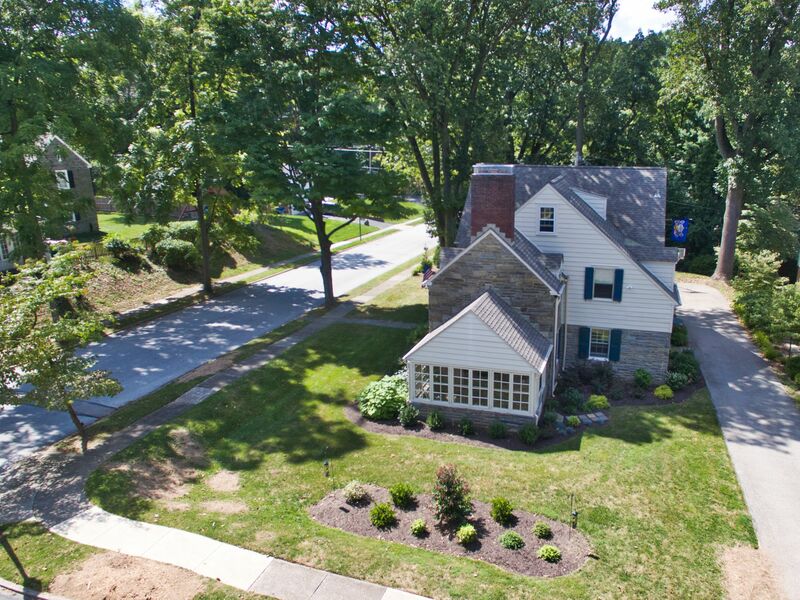 Minutes from Glenside Elementary School.